Want to stay at Music Writing Place with multiple guests? We know that bands and artists can have a big entourage. Musicians, crew members, friends, family and fans. Just finished your tour in Europe? Want to take a break? Why not visit Music Writing Place? The ideal location which offers relaxation, but still has the posibility to host a writing or recording session, when inspiration strikes. Want to bring more than 8 guests? Need room for your family and friends? Besides the Villa, we offer room for up to 12 more people in 2 charming holiday houses. Each house offers great acoustics to rehearse. Additional instruments are available upon request. Want to enjoy some Southern Portuguese sunlight after a day of rehearsal? The pool and terraces both have sunlight until late in the evening! 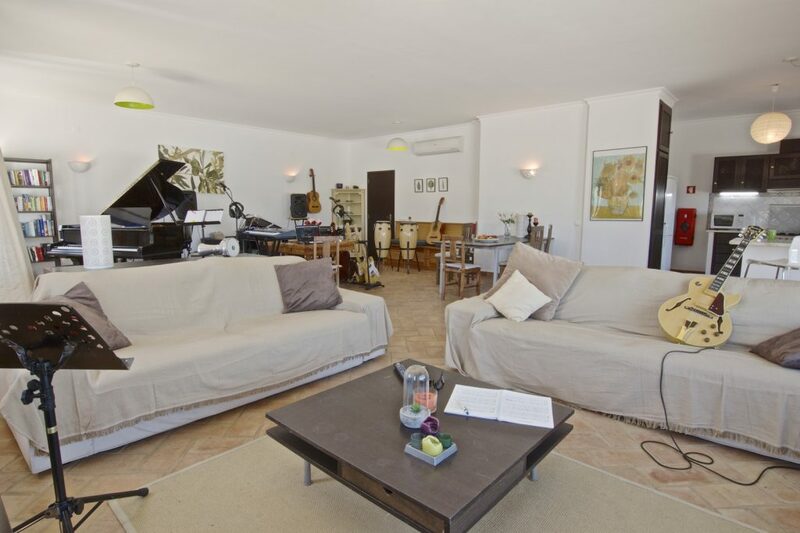 Both holiday houses are located within 200 meters of the Villa and the Music Studio. The traditional Cottage is charming simple and inspiring with it’s wood burner, 2 bedrooms and adjacent to the pool and terraces. The Bungalow is comfortable with a big luxury kitchen and lounge, a fireplace, 3 bedrooms, a sleeping loft and 2 bathrooms. 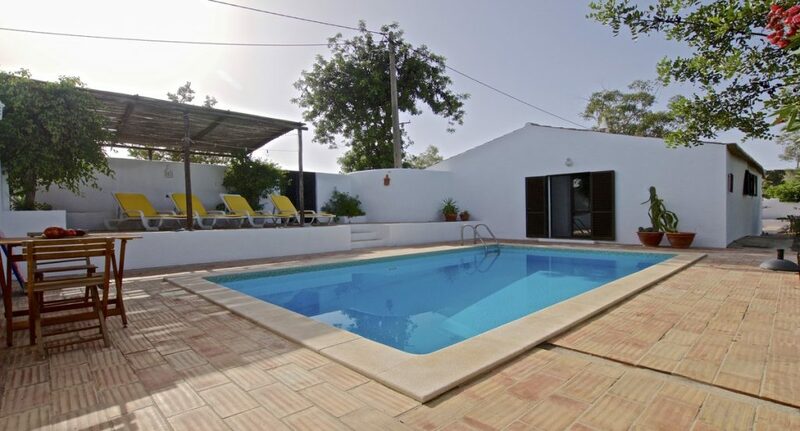 Enjoy the outside South Portugese way of life, gather with the Villa group and meet for a afternoon drink on the teracces in the sun or at the pool! Are you a musician, singer, songwriter/producer? Do you struggle to find an inspiring location to write and record your music? Are you looking for a hideaway to prepare for your next album? Then Music Writing Place is the place for you! Let the inspiring natural relaxed vibe of South-Portugal feed your creativity. Want to bring fellow musicians, artists, family and friends? No problem! 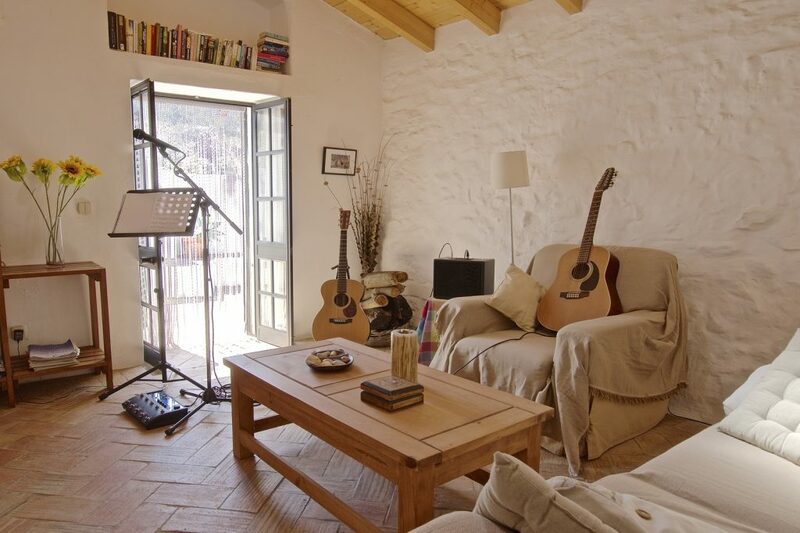 Music Writing Place offers accomodations with 12 bedrooms for 20 guests.